Ah, Bertha. Here in Seattle, your tunneling project is one of our favorite things to talk about. But not always for the best of reasons because, well, it’s been one helluva fustercluck. You’re tunneling beneath downtown to create a subterranean re-route for State Highway 99, which stands on stilts and could fall down the next time the earth shakes. So clearly, you have an incredibly important job. We were promised you’d be finished this August, but you’ve had quite a few breakdowns. And we get it, we do! Machines malfunction all the time and usually it’s no big deal. But the state has already sunk about $1 billion into making sure you can tunnel underneath the Alaskan Way Viaduct, so people are, understandably, a little upset. Also, we don’t mean to kick you while you’re down, but you have only drilled 1,083 ft. of your 9,270 ft. route. And all these new repairs pushed your drilling restart date, which was supposed to be this August, to 2017 – that’s two years later! TWO YEARS, BERTHA. And now we learn that, having dug you up to make sure you’re OK, construction crews have discovered that you were worse off than they’d thought – you blew a seal and cracked a casing, which busted some of your gears with fragments and grit. 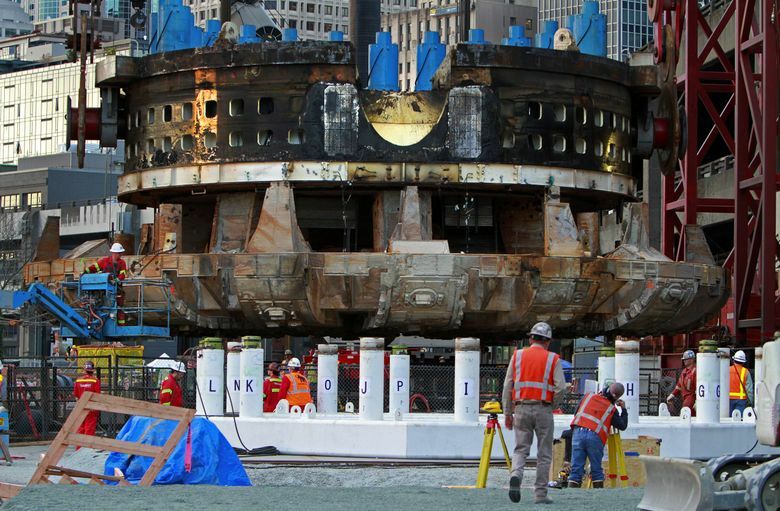 Nonetheless, he said, Hitachi[-Zosen, the company who built the tunneling machine] shouldn’t be scapegoated, and he predicted that after Bertha is outfitted with tougher seals and steel stiffening plates, the machine should work. He said gear damage is certainly not common but has happened in tunneling history. So it’s not totally your fault, Bertha! And fret not – you’re scheduled to get new parts later this month, according to the Times. So once those are installed, you’ll be back in your drilling pit in no time … hopefully. PS: Just keep in mind that if that new 2017 deadline seems too tough, some creative Seattleites have dreamed up an amazing, if imaginary, park to make your fusterclucked tunnel at least somewhat useful. 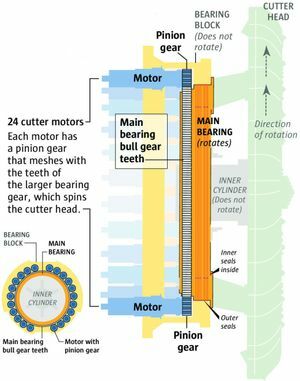 Bertha repair will take longer — there are lots of broken parts, The Seattle Times. The 2015 State of the Air report from the American Lung Association recently confirmed that four in 10 Americans are living in areas with harmful levels of ozone pollution. But the big oil companies have just launched a multimillion-dollar ad campaign telling us our country doesn’t need and can’t afford stronger limits on ozone. 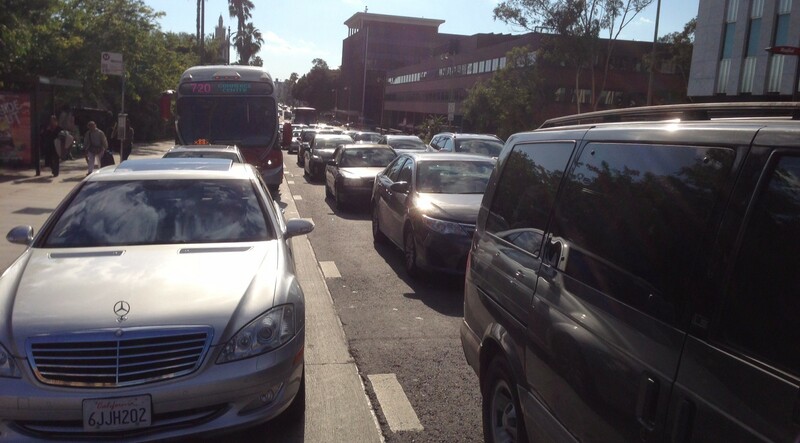 Ozone is the most pervasive air pollutant in the United States today. It is formed in the atmosphere when chemical compounds emitted by vehicles, industrial processes, power plants, and other sources interact in the presence of sunlight and heat. Ozone is also among the most harmful air pollutants. Elevated ozone levels cause lung irritation, aggravate asthma, and worsen chronic obstructive pulmonary disease — leading to increased emergency room visits, hospitalizations, and premature deaths. Ozone endangers the health of our children, elderly, people with chronic diseases, and healthy people working or exercising outdoors. Among the most vulnerable are the estimated 25.9 million Americans with asthma, including 7.1 million children. Scientific research has shown for some time that ozone causes harm at — and well below — the current national air quality standard of 75 parts per billion (ppb). This conclusion has been supported by three separate, highly expert scientific panels that have reviewed the extensive evidence — under Republican as well as Democratic administrations. Most recently, after a four-year public process assessing all the latest science, EPA’s Clean Air Scientific Advisory Committee recommended revising the ozone standard to a level between 60 and 70 ppb, noting that the lower end of the range would provide the best health protection with an adequate margin of safety. Based on current science, the American Lung Association, the American Academy of Pediatrics, the American Public Health Association, and other leading health and medical organizations are calling for a new ozone standard of 60 ppb. The Environmental Protection Agency has proposed a new standard for ozone in the range of 65 to 70 ppb. Though not as protective as many experts would like, these limits would have huge benefits for Americans’ health. Altogether a new standard set at 65 ppb would prevent annually an estimated 960,000 asthma attacks, 1 million lost school days, and 180,000 lost work days. Most importantly, it would prevent up to 4,300 premature deaths each year. National standards for ozone and other air pollutants are the basis for the Air Quality Index (AQI), the system that informs us about the daily air quality in our communities. Parents, seniors, coaches, and others rely on air quality alerts to know whether they should take steps to limit outdoor time when air quality is poor. With the current outdated ozone standard, there is a real, ongoing risk that we will think our air is healthy when it is not. This deprives us of the opportunity to protect ourselves from unhealthy conditions. The Clean Air Act requires EPA to set the ozone standard at a level that will protect human health, without taking costs into account. However, costs, timing, and technology are fully considered during the implementation phase when states and communities work with EPA to craft cleanup plans. Cost-effective technology to reduce ozone-forming pollutants already exists. With wider and more consistent use, it will take industry a long way toward reducing ozone affordably. Efforts underway to clean up power plants, diesel trucks, and car emissions will also contribute greatly to achieving lower ozone levels — at a cost our country can handle. EPA has projected that the total benefits of a more protective ozone standard will significantly outweigh its costs. The benefits of a 65 ppb standard are estimated at $21 billion to $42 billion annually after 2025, compared with yearly costs of $16.6 billion. There is good reason to think that EPA’s cost-benefit estimates are in the ballpark. The Office of Management and Budget in a 2013 report to Congress calculated that 21 EPA air pollution rules from 2002 to 2012 had benefits of $529 billion compared with costs of $35 billion. Contrary to repeated dire predictions from polluting industries, achieving cleaner air has never been at odds with building a strong economy. Since 1970, dangerous pollutants in America’s air have been reduced by 68 percent, while our economy has grown by 240 percent. Our country has been making steady progress in reducing ozone pollution over the past four decades. According to EPA’s trend analysis, ozone levels have dropped by 33 percent since 1980 and 18 percent between 2000 and 2013. The vast majority of our states and counties could achieve a stronger ozone standard just by working with existing technology and control measures that are already in place. Counties facing serious ozone challenges will have additional time to comply with a new standard, potentially up to 2037, depending on the severity of their air quality problems. Most of these areas are already well engaged in measures to drive down high ozone levels and recognize that these efforts are critical to the health of their residents. Reducing ozone will be a challenge — but we’re up to it. Cleaning up ozone pollution is one of most important environmental challenges we face today. Despite the ads from America’s big polluters, it makes no sense to dial back our efforts now. We need to keep at it until our air is safe and healthy — building on our decades of success in reducing air pollution and our world-leading capacity for innovation.